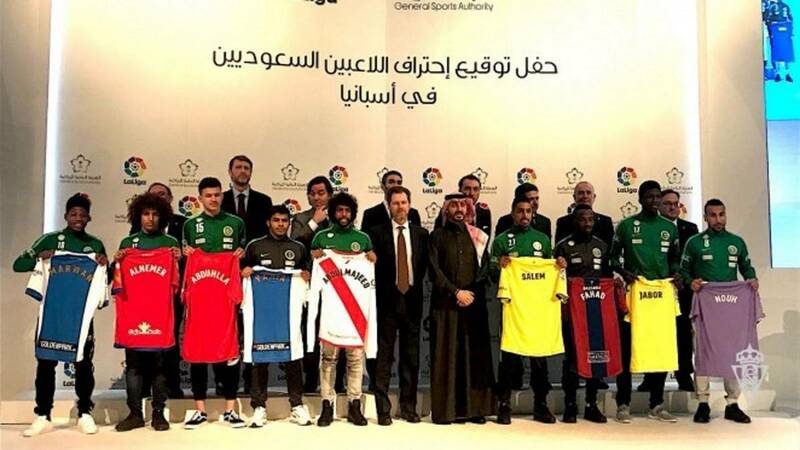 Late last month it was announced that nine players from Saudi Arabia will join Spanish teams in La Liga and La Liga 2 on loan deals for an initial period of six months. The move is part of Saudi Arabia’s preparations for the 2018 World Cup, which will mark the first time the country has participated in soccer’s premier event since 2006. The players are mostly Saudi internationals, and include three–Salem al-Dawsri, Yahia Shahri, and Saudi Arabia’s biggest star Fahd al-Muwallad–who were key to its World Cup qualification. They will join La Liga clubs Villarreal, Leganés, and Levante respectively. While this is undoubtedly a great opportunity for the players involved, the Spanish players union is not happy, and it also remains to be seen if it will work out for the clubs. The deal is part of a multi-year collaboration agreed to in October 2017 by La Liga, the General Sports Authority (GSA) of Saudi Arabia, and the Saudi Arabian Football Federation (SAFF). This partnership includes the creation and development of soccer academies in Saudi Arabia and scouting programs for local talent. It is part of a wider effort by Saudi Arabia to grow the game in the country, which will now benefit from the brand, technical supervision, and expertise of one of the world’s top leagues. La Liga, in turn, gets to increase its audience and commercial opportunities in Saudi Arabia. Although, as Forbes soccer writer Steve Price pointed out when the loans were announced, “with La Liga already popular in the region and less than 34 million people living in Saudi Arabia, this benefit doesn’t seem particularly large.” Barcelona and Real Madrid are already incredibly popular in the Middle East. Perhaps this partnership will give other La Liga clubs a chance to catch up. While the loan deal seems lopsided, it is important to note that the Spanish clubs are not paying loan fees for the players, and the players’ salaries will be paid by Saudi Arabia. BabaGol’s Uri Levy also reports that each club will enjoy “a special fee depending on the level of the player, and afterwards for the games he has participated at, training sessions” and so on. The Saudi Arabian clubs loaning out players will also receive compensation. The loan deals are the latest part of an increasingly common trend in which countries from the Asian confederation are seeking to make use of European soccer’s talent and expertise in order to improve their local players while European leagues and clubs are seeking greater access to markets across Asia. In 2012, Qatar, through its Aspire Zone Foundation (which runs Qatar’s soccer academy Aspire), purchased the Belgian team K.A.S. Euspen as a way to give young Qatari and foreign graduates from the Aspire an entry into European soccer. One of the goals of the Aspire Academy is for some of its graduates to represent Qatar when the country hosts the 2022 World Cup. Euspen, which competes in Belgium’s top division, currently includes Qatari national team member and Aspire graduate Akram Afif on loan from Villarreal. And until earlier this year, the Qatari-owned club Cultural Leonesa in La Liga B also featured Ahmed Yasser, another Qatari national team player and Aspire graduate, on loan. This is all part of Qatar’s larger sports-focused public diplomacy efforts, which also involve hosting the World Cup, sponsoring Barcelona, and purchasing Paris Saint-Germain. China too has big ambitions for its international soccer profile, wanting to become a superpower in the game by 2050. In November 2017, Chinese Super League club Guangzhou R&F announced an agreement with Dutch team Ajax to build a youth academy in China. More interestingly, earlier last year a Chinese under-20 team joined the German fourth division in an effort to improve Chinese youth soccer, with the plan being to play friendly matches against each of the other 19 teams when they would normally have had a bye. While the plan was put on hold after the team’s first game due to pro-Tibet protests at the venue, it was part of a larger five-year deal on soccer cooperation made between China and Germany in 2016. 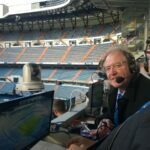 However, the Saudi deal with La Liga is something of a shortcut and marks a more immediately visible intervention in European soccer, in one of the world’s most high-profile leagues. Effectively, Saudi Arabia is paying La Liga and La Liga 2 clubs to help improve its players and prepare for the World Cup. 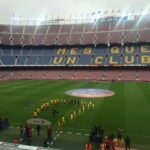 A statement from La Liga noted that there was a “rigorous scouting program that spanned multiple months” through which the Spanish teams were able to select players. Some of the players may go on to thrive in Spain and could see their loan periods extended or be transferred permanently. But without wanting to demean the talent of the Saudi players (which Levy says is mixed), it is unclear how much game time the players will end up getting and whether these deals would have been made without the financial incentives involved. And that has angered Spain’s players’ union. In a statement the union said the deal “prioritizes the economic aspect over the sporting one,” adding that it sacrifices the “essence of this sport” and hinders the development of youth players. Only time will tell if this sort of deal is replicated elsewhere by other countries seeking to build their international soccer profile and improve the skill level of their players. Many countries would no doubt love to see their national team players competing at the La Liga or even La Liga 2 level, but not every country will have the resources to make this happen in the manner Saudi Arabia has. Perhaps this will become yet another marker of the massive economic disparities that exist throughout the beautiful game. Certainly not a bad way to prepare for a World Cup if you can afford it though, provided the Saudi players get enough game time to make it worthwhile. Follow Aubrey on Twitter @AubBloomfield.